Laserfiche Mobile is an application for the iPad and iPhone that enables you to capture, upload, securely access and work with documents in your Laserfiche repository while on the go. 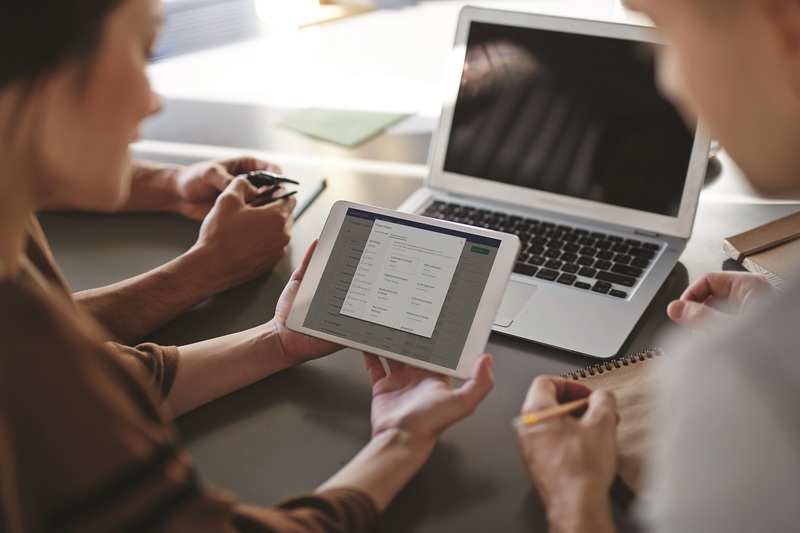 Laserfiche Mobile 8.2.2 introduces support for the iPad, including a new user interface designed to take advantage of the iPad’s large screen. After logging in to a repository through Laserfiche Mobile, you will see the Folder Browser. If you are viewing the iPad in landscape orientation, the Libraries Pane will be open on the left side of the screen and the Entry Pane shown on the right. If you are viewing the iPad in portrait orientation, the Libraries Pane will be hidden in the toolbar on the left side of the screen by default, and can be opened by tapping Libraries. Show/Hide at the top of the Left Toolbar hides visible panes, like the Search Pane and the Libraries Pane. Once hidden, panes can be shown by tapping Show/Hide again. Libraries opens the Libraries Pane, which displays a list of all the entries you have added to your libraries. If this is the first time you are logging in, your libraries list will be empty. Search opens the Search Pane, where you can search the repository by document text, entry names or fields. Settings opens the Settings window, where you can configure connection settings, find the help files and see more information about the application. 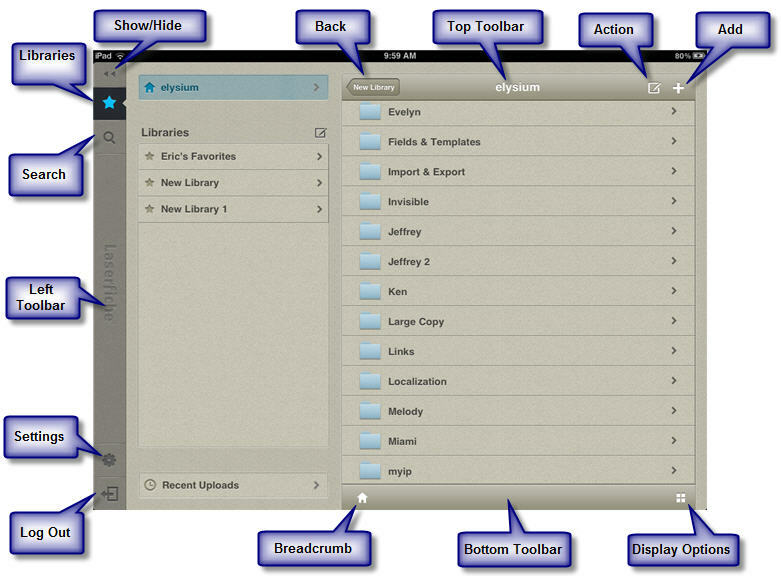 Log Out logs you out of the repository and brings you back to the iPad Home screen. You can easily navigate your repository using the Entry Pane. Tap a folder to view its contents or tap a document to open it for viewing. The Top Toolbar is located at the top of the Entry Pane. This displays your current location in the repository and has options for working with entries. The Back button on the left side of the Top Toolbar shows the name of your last location in the repository. Tapping it brings you back to that area. Tapping Action opens the Action Toolbar, where you can perform various actions (cut, copy, paste, delete, send in e-mail and add to library) on one or more selected entries. Tap Add to add a new document or folder to your current location. The Bottom Toolbar is located at the bottom of the Entry Pane. On the left side of the Bottom Toolbar is the Breadcrumb, which shows the path to your current location in the repository. You can quickly navigate to previously visited locations by tapping on them in the Breadcrumb. To the right of the Breadcrumb is the Display Options, where you can change whether the contents of the Entry Pane are displayed in list format or thumbnail format.